Why wait for customers to notice your products on store shelves? Let InstantSign turn your delivery vehicles into rolling billboards, promoting awareness of your brand name and your products. 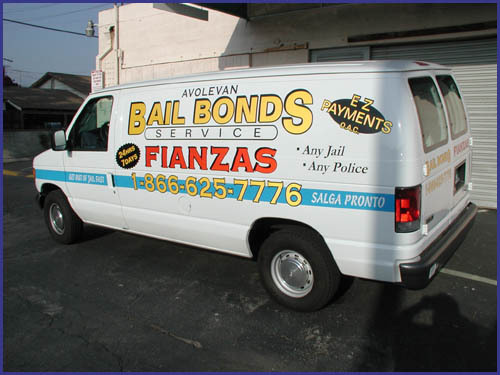 Promote your business with permanent vinyl graphics or convenient magnetic signs on all your vehicles. message appears on every side of your vehicle for more visibility. Put your warehouse site to work. Big, bold banners draw attention and promote awareness of your name and products. Banners can do wonders for morale, too, with motivational messages to build team spirit and improve productivity. Easy-to-read signage helps direct traffic inside and outside of the warehouse, control parking and point drivers in the right direction. Fulfill OSHA signage requirements to help protect both employees and customers throughout your facility. Centrally store your lock-out/tag-out devices and keep your employees safe. Improve company morale with banners that celebrate your company's achievements. Bold, legible window lettering puts your hours of operation and other essential information right up front. InstantSign is your expert on signage required by the ADA. Let us help you bring your site into full compliance. Provide retailers with banners, table tents, hanging signs and other display items to help them promote your products. To keep your marketing message fresh, hang a new promotional banner each month. Studies have shown that people tend to ignore what has become familiar, but a fresh new look reawakens their interest!